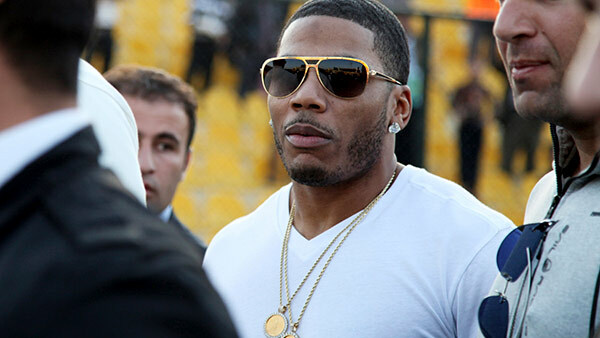 FILE- In March 13, 2015, file photo, rapper Nelly approaches the stage for a concert in Irbil, northern Iraq. SEATTLE (WPVI) -- Rapper Nelly is fighting back against a lawsuit that alleges he raped a fan on his tour bus after a performance in Seattle last year and sexually assaulted two fans in England. The two women, who are named as Jane Doe 1 and Jane Doe 2, are both Americans who were posted in England with the U.S. military when the alleged incidents happened. The amended complaint alleges that after she called police, her name became public and she was attacked on social media. She also lost her employment at two clubs, it alleges.